…it turned out to be an AWESOME idea! Okay, almost awesome. I shall explain. With a PS4 becoming part of my console heard this year, I made it a personal goal to finally play Uncharted 4: A Thief’s End. (For an excellent rundown of its story, see The Duck’s post here.) But I felt that before I could do that suitably, I had to dutifully play through the first three games. I had never played the first game, Drake’s Fortune, but I had played through the second and third titles. And they were all good. Drake’s Fortune provided a really solid introduction to the series as a whole. Among Thieves remained excellent, one my all-time favorite games. And I had much better time with the third game, Drake’s Deception, than I did when I first played it, even though it still plays quite like a second fiddle to Among Thieves. Once the credits of Drake’s Deception rolled, my brain was all ready to pop in A Thief’s End, but my heart…oh, my heart wasn’t into it. 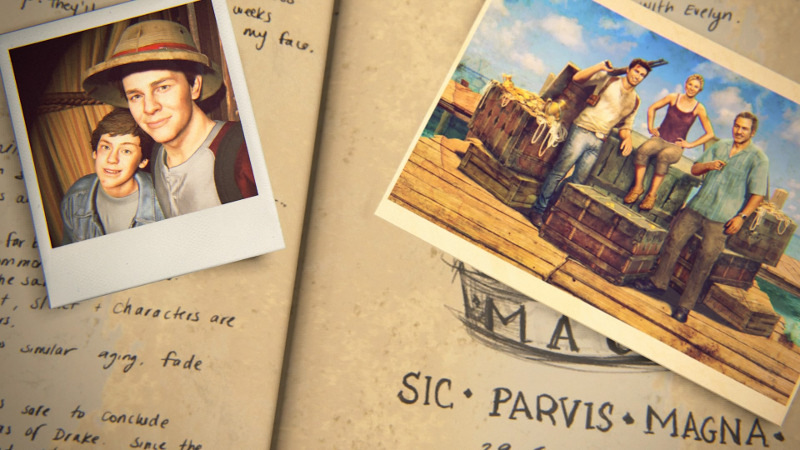 This stemmed from the notion of “sameness.” Because although the three Uncharted games before it each presented very different if interlinked stories, they were each also, well…kind of the same mechanically. Set up a scene, perhaps with the addition of some death-defying occurrence, and nearly always with “cover” items, such as small blockades, vehicles, or crates. Insert several waves of bad guys to take down in a manner of your choosing. Jump, climb, and shimmy your way to the next area. Solve a few puzzles to reveal something cool and/or fantastic and/or the path to the next area. I’m simplifying things tremendously, and none of this is meant to degrade the series generally, which is about as top-notch as action-adventure games get. Once you make a good gaming formula that works and is successful with your fan base, there’s little reason to deviate. And, since there’s usually plenty of space between an original game and its sequels, it gives players just long enough of a break from that formula to miss it, and they eventually want more. 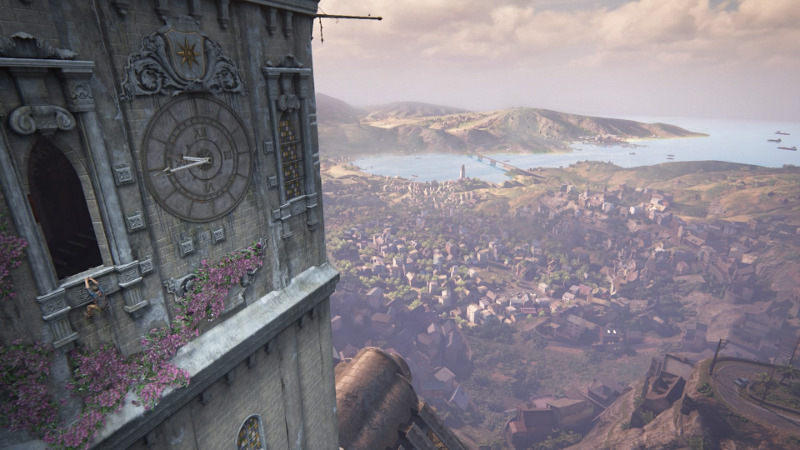 Maybe I should have put some space between playing each of the first three Uncharted games, because even though I knew that A Thief’s End was going to be tremendous, I also knew that much of it was going to be the same. Fight, puzzle, climb, be in awe, etc. And indeed, when I decided to go with my brain over my heart and started up A Thief’s End on the heels of Drake’s Deception, the Uncharted formula quickly wore thin. And I felt terrible because of it. After all, this was one of 2016’s most critically-acclaimed games! And my goodness, its scenery and graphics were among the most breathtaking I’d ever seen! And wow, those story lines! Choosing to cover Drake’s relationships with both Elena and his brother was a bold and brilliant move. There lay before me an astoundingly beautiful and modern game that…couldn’t have interested me less. 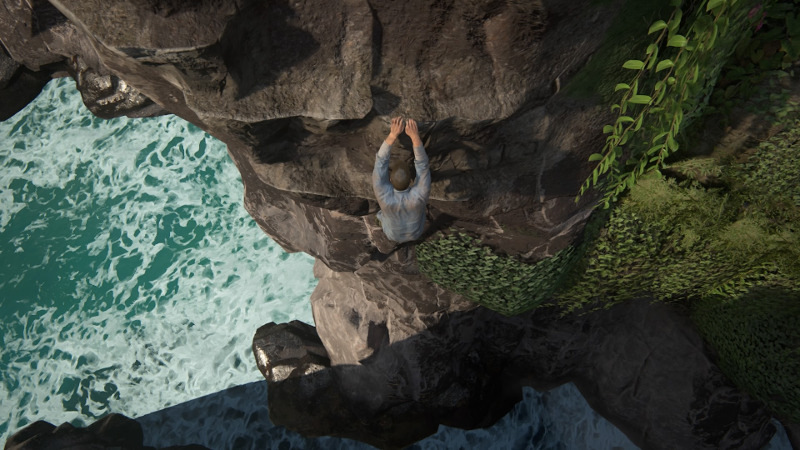 Uncharted 4: A Thief End is an amazing game, and completing it felt really good, too. Very often, finishing a game comes with a vague sense of lacking and sadness. But with the game ending as it did, Drake’s story felt whole, and it felt done. One could of course argue that there’s plenty of room to play with other characters from the series, as we’ve already seen in Uncharted: The Lost Legacy, but I’m perfectly okay with believe that Drake, himself, is now at peace with his life. I, for one, am happy that I can now put the series to rest for a while, as well.